Build a Wi-Fi Drone Disabler with Raspberry Pi @Raspberry_Pi #piday #raspberrypi « Adafruit Industries – Makers, hackers, artists, designers and engineers! Great project write-up from Brent Chapman in Make. Quadcopters capable of transmitting high-quality video are making it possible to affordably record unique perspectives. But these “unmanned aircraft systems,” as the FAA calls them, have posed new challenges in security, safety, and privacy, and many experts caution pilots to consider the implications of increased drone usage. 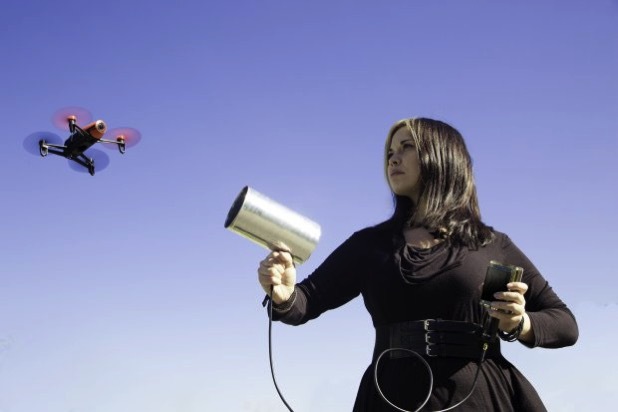 In addition to the concern of constant surveillance, there’s the possibility that businesses (or hackers) can collect location information from mobile devices by using roving drones.